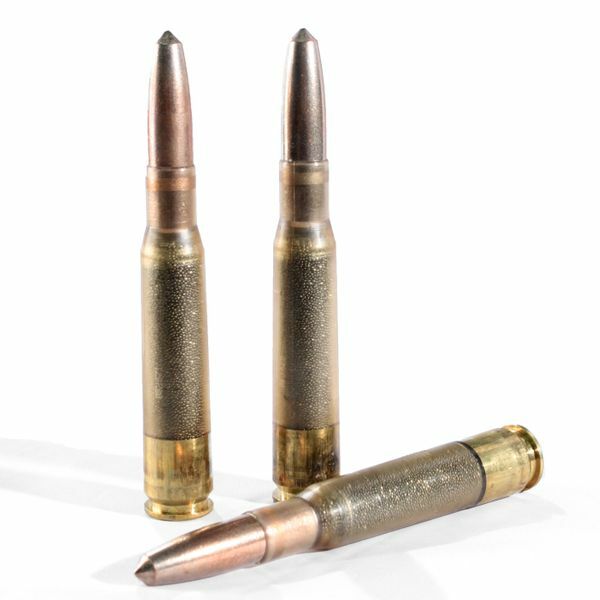 Frangible ammunition is a variety of ammunition that a lot of people have heard of, but not a lot of people actually know what it is or why it is produced. The main goal of frangible ammunition is not to break apart or fragment on impact. It is actually to prevent ricochets and over penetration. The disintegration of the projectile is simply the most effective way of achieving these goals. So what is frangible ammunition and why would you want to use it? Engel Ballistic Research’s frangible ammunition projectiles are made from a copper and tin matrix. Basically, they utilize copper and tin dust which has been compressed to form a projectile that will provide devastating results on soft-tissue, but which fragment or disintegrate upon impact with hard surfaces. Have you ever seen the video on YouTube of the guy who shoots a .50 BMG rifle at a steel target 100 yards away only to have the projectile ricochet off of the steel plate, bounce directly back at him, and literally knock his hearing protection off of his head? If not, check it out here. This is a very real danger associated with shooting steel or any hard surface which allows for the projectile to ricochet. Frangible ammunition is one way that the military and law enforcement agencies have found to make their training facilities safer. When doing live fire drills in compact shoot houses operational teams do not have to worry about ricocheting projectiles and can focus on their training. Outside on the range, or even more importantly at interior ranges, frangible ammunition is used to eliminate dangerous ricochets. Added benefits of using frangible ammunition at range facilities, include prolonging the life of expensive steel targets and utilizing a lead-free projectile. Many ranges are going “green” and only allow shooters to use lead-free projectiles in an effort to reduce the amount of lead being introduced into areas where it did not previously exist in large quantities. Here at Engel Ballistic Research, we strive to provide accurate, consistent, and reliable frangible ammunition that is ready whenever you are, whether it is at the range, on the job, or protecting your family.